The increasing relevance of employee background screening is not only attributed to the global conglomerates extending their Human Resource policies in the country, but also to the number of cases which have had rankled several Indian organisations in the recent past. A typical case of unfortunate hire could easily be mitigated through a standard employee background screening process, which ensures that organisations do not suffer from undesirable consequences of hiring individuals with questionable credentials. We Verify India provides comprehensive background screening solutions that are lawfully enforced and interwoven to the exact specification of the client. 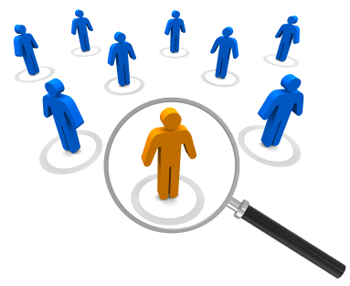 Our employee background screening process is managed by key account executives, who also act as the single point-of-contact to each of the client. To maintain as much transparency in the screening process as possible, the executives maintain Management Information System which assists in keeping the client updated about the interim progress on a daily basis. Our aim is rooted in providing accurate reports to the client and, at the same time, ensuring that turnaround time of reportage is never compromised. An average report takes around 5 to 7 business days to conclude and so far we have not failed any of our clients in that regard. Education check: We provide clients with evidence of a candidate’s academic qualifications. We communicate directly with the academic authorities concerned to verify the period of attendance, discipline studied, grades attained and qualifications awarded, and confirm these details with supporting documentation.